With the Winter Olympics, comes all my admiration for the athletes that compete on ice. Until a couple of years ago, I had never ice skated and I had no idea how hard it was! 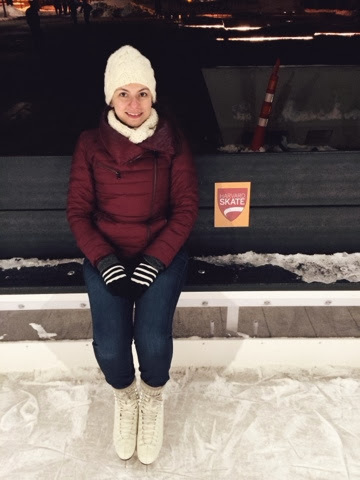 As a beginner, I am always a little scared when the rink is packed, so I was really happy to discover a small rink in Harvard. I had so much fun! 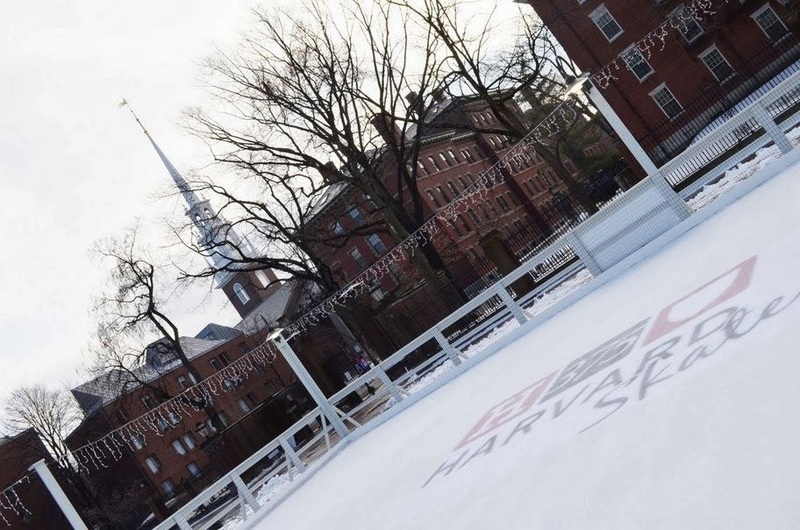 Ice skating in Harvard, with all those beautiful, historic buildings around me definitely has its charms! It opens 7 days a week and admission is free! You can rent skates for $5 if you don't have your own and there are free classes on Friday afternoons! Like them on Facebook to keep up with working hours and other events. 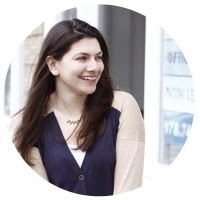 Find more Things to do in Boston! so cute! there's one right by the Charles Square Hotel, too that's tiny and empty and I wish more people would use it. SO adding this to my list! Thanks for the heads up! this looks like so much fun - boston is so scenic, this is the perfect way to soak it all in.